Commitment to your Privacy – This site is owned and operated by WalkingBelts.com. Your privacy on the Internet is of the utmost importance to us. We want to make your experience online satisfying and safe. This privacy notice applies to all information collected from or submitted. Web links listed on our website may operate under their own privacy notices but follow close practices as WalkingBelts.com. Our Web site contains links to other Web sites operated by third parties. Walking Belts is not responsible for the privacy practices or policies of such third-party Web sites. We do not indorse any adult content websites. Please notify us of any content updates needed (i.e. bad links, email addresses, phone numbers). We do not sell to child products for purchase by children. If you are under 18, you may use WalkingBelts.com only with the permission and supervision of a parent or guardian. What type of personal information does Walkingbelts.com, gather from its customers? (The information gathered from our customers helps us provide our customers a more personalized experience when visiting WalkingBelts.com). Information you provide us: We receive and store all information you provide via our website or any other way. You can choose not to provide certain information, but you might not be able to take advantage of many features our website can provide. The information collected is uses in some of the following ways: responding to your requests, customizing your future shopping experiences, improving our online store, and to communicate with you. Internet Explorer: InPrivate Browsing helps prevent Internet Explorer from storing data about your browsing session. This includes cookies, temporary Internet files, history, and other data. Toolbars and extensions are disabled by default. See Help for more information. Google Chrome: Google Chrome has an option called Incognito. Activate incognito on your Google chrome browser and start browsing. This incognito feature stops storing your browsing history, site cookies and cache. Which means you will have no footprints left on your computer. You can active incognito feature on your Google chrome browser by pressing Ctrl+Shift+N. This will not affect your browsing experience in any manner. Fire Fox: The Torbutton extension in Firefox allows you to instantly turn on and off the use of Tor to anonymously surf the web. Using Tor, you can keep websites from knowing who you are. Even though your experience with WalkingBelts.com may not be able to be more personalized when you browse our webpage anonymously, we like to make you aware of the tools available to let you browse our page anonymously. E-mail communications: Some of our e-mail, or contact forms are designed to send us a confirmation once you open an e-mail sent form WalkingBelts.com, which helps us give you a better service quality. Information from other sources: We might receive information regarding you from other sources and add it to our account information. What are cookies? A “cookie” is a small piece of information sent by a web server to store on a web browser so it can later be read back from that browser. This is useful for having the browser remember some specific information. Site Personalization. This is one of the most beneficial uses, let’s say a person comes to the WalkingBelts.com site but doesn’t want to see any treadmill information. They allow people to select this as an option; from then on (until the cookie expires) they wouldn’t see treadmill information. This is also useful for start pages. Most browsers allow you to turn off your cookies, but without cookies you will not be able to use our shopping cart or account services, we recommend that you leave them turned on. Does WalkingBelts.com share information it receives? Agents: We employ other companies and individuals to perform functions on our behalf. For example: Fulfilling purchases, delivering packages, sending postal mail and e-mail, removing repetitive information from customer lists, analyzing data, providing marketing assistance, providing search results and links (including paid listings and links), processing credit card payments, and providing customer service. They have access to personal information needed to perform their functions, but may not use it for other purposes. Promotional Offers: Sometimes we send offers to selected customers. With your consent: Other than set out above, you will be receiving notice when information about you might go to third parties, and you will have the opportunity to opt out to share the information. We reveal only the last four digits of your credit card numbers when confirming a purchase. Of course, we transmit the entire credit card number to the appropriate credit card company during purchase processing. It is important for you to protect any unauthorized use to access your account via your computer or unauthorized access to your account password. If you would like to contact us for any reason regarding our privacy practices, please e-mail us at the following address (info @ walkingbelts . com), or We can help you with any questions you may have over the phone by calling us at 1-800-334-5944. Walking Belts LLC ships orders anywhere in the United States. As soon as your order is placed your credit card is automatically charged. Your order will begin to be processed the same day that it is placed or the next business day. If not all parts are in stock you will receive your order as soon as all parts become available. Or we might decide to ship your order in different packages, we leave this up to our shipping staff’s discretion. If a replacement belt is unavailable we might choose to ship you a replacement belt of the same or better quality than the one purchased. Please note the replacement belts we use can be OEM belts, OEM belts are purchased directly from treadmill manufacturers which we have no control or knowledge of belt origin. As soon as your order ships from our warehouse you will receive an e-mail with tracking information for your order. All walking belts have a 1 (one) year warranty. We freely provide refunds for products that are returned to us in their original, new condition and in original packaging less any shipping charges within 30 days of purchase. All returns are subject to a 15% restocking fee. Once parts have been installed, they are non-refundable. E-mail us with requests for refunds to( info @ walkingbelts . com). Any returns must be shipped freight prepaid unless there has been an error in shipment. Any returns made without the invoice number on the packaging or shipped freight collect will be refused. 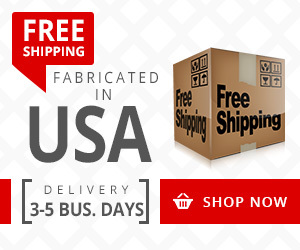 Any warranty that we administer does not include shipping charges you will be responsible for your shipping charges. In order to comply with this warranty, Walking Belts LLC must receive the original order or invoice along with the product under dispute. Any warranty that we administer is non-transferable. Warranty does not include shipping charges you will be responsible for your shipping charges. Product is warranted by Walking Belts LLC to be free of defects in material and workmanship. Claims of such defects will only be allowed on the condition that notice thereof is received in writing by Walking Belts LLC. This warranty does not cover breakage caused by acts of God, abrasion, abuse, alteration, accident, corrosion, misuse, neglect, wear and tear, or belts not welded or sold by Walking Belts LLC. Walking Belts LLC assumes no liability for direct or indirect damages, lost profits, or any resulting damages. Products may be returned in NEW CONDITION within 30 days of invoice date for a refund. A RMA- Return Merchandise Authorization must be obtained before returning any order. Returns that do not have a RMA and the RMA number clearly written on the outside of the shipping container will be refused and returned to the shipper. The refund will be based on the PURCHASE PRICE of the item in question and subject to a 15% RESTOCKING FEE. The refund does NOT include shipping charges, which are non-refundable. RMA’s will not be issued for returns that are past 30 days!! An RMA is valid for 15 days from the date of issuance so be sure to return your package in a timely manner once the RMA has been issued. We will not accept returns with an expired RMA. It is the customer’s responsibility to contact our customer service department no later than 5 days after the defective or incompatible product is sent in order to get a replacement. Otherwise you will still be subject to the Restocking Fee! When returning an item make sure to include a copy of the original invoice sent to you inside the package and a note explaining the issue. If you send the part to anyone except us we will be unable to credit anything to your account, because we obviously do not have your part so there is nothing that we can credit. Please insure your shipment. We are not responsible for damaged, lost, or misdirected shipments. Package your return carefully to avoid damage. Credit card payments will be refunded via a credit that will appear on your statement upon a successful return. This credit can take up to 30 business days to post to your statement; this depends on your bank or Credit Card Company. Check and money order payments will be mailed a check within 10-15 business days upon a successful return. If you have any questions regarding your order, feel free to email us at (info @ walkingbelts . com). Please call us at 1-800-334-5944 or e-mail us at info@walkingbelts.com to receive a RMA# and address where to ship your returned part. We will not received any returns that do not have a valid RMA#. It is the customer’s responsibility to contact our customer service department to cancel order prior to shipping. The refund will be based on the PURCHASE PRICE of the item in question and subject to a 15% RESTOCKING FEE. We accept Visa, Master Card, American Express, Discover as credit card options. We also accept cash, checks, and money orders made out to Walking Belts LLC via US Mail for any prepayment of an order. To order please fill out our order form and mail your order to Walking Belts LLC. Purchase orders are not accepted from any type of organization.